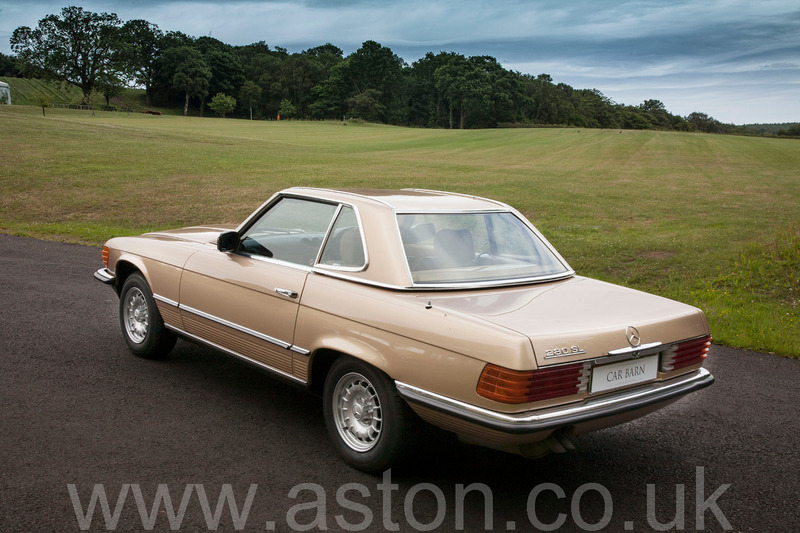 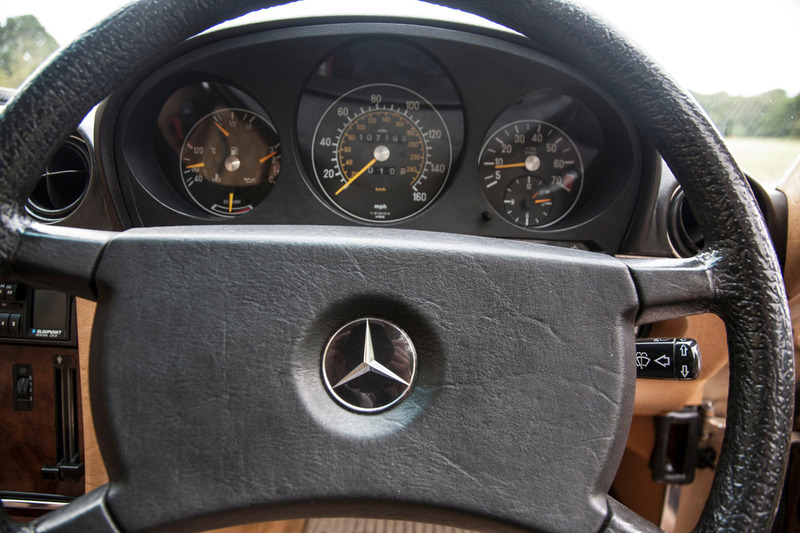 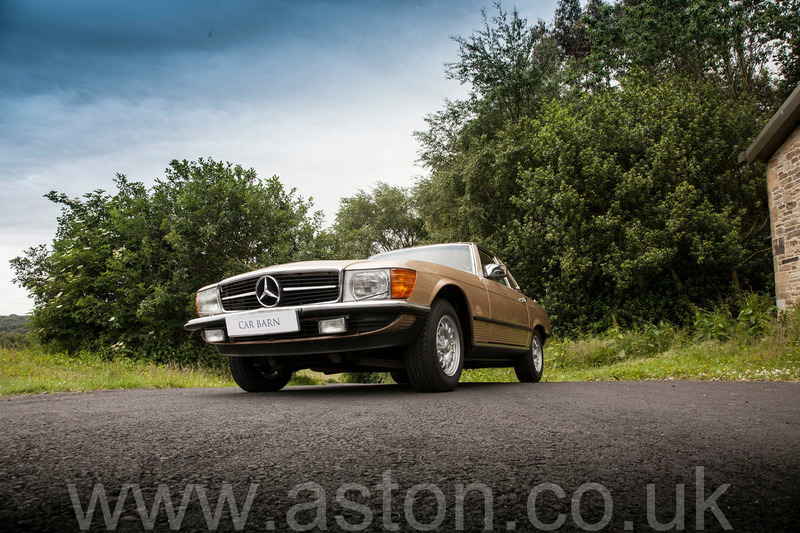 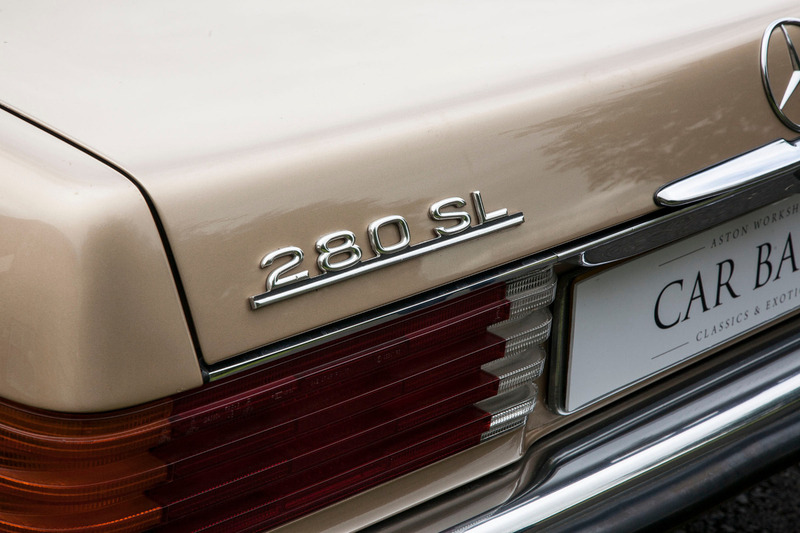 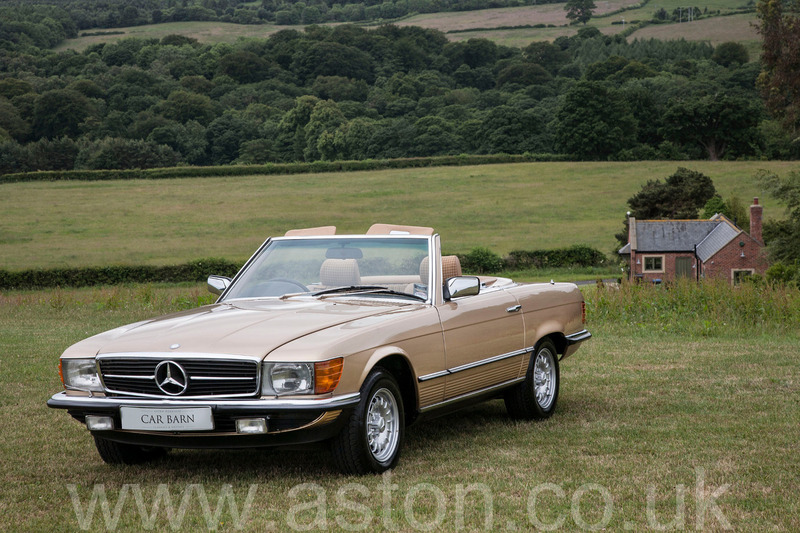 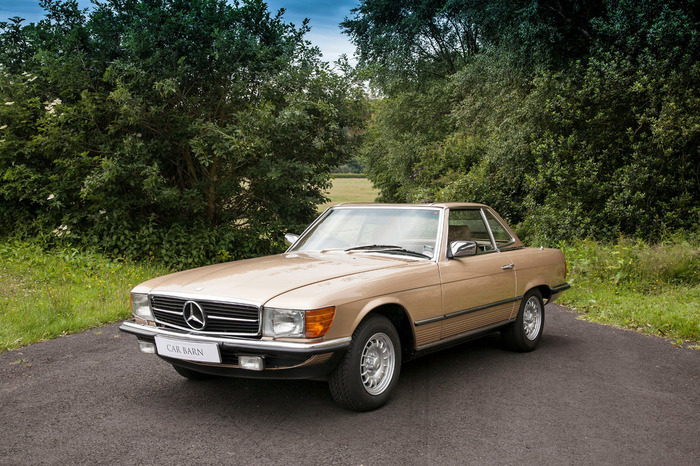 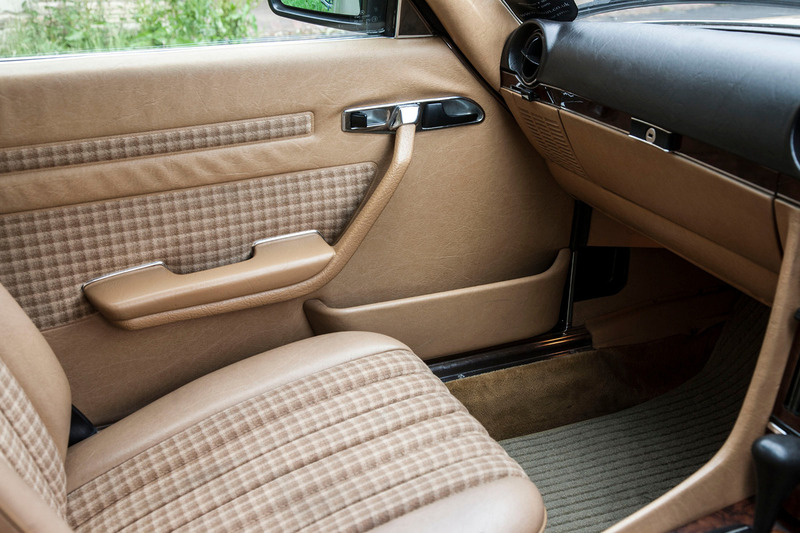 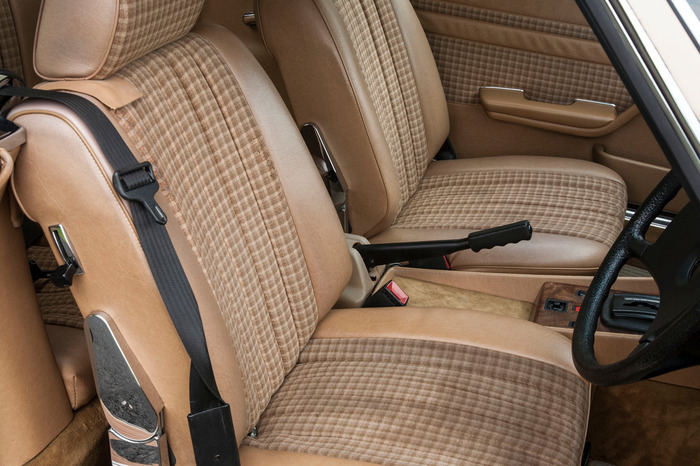 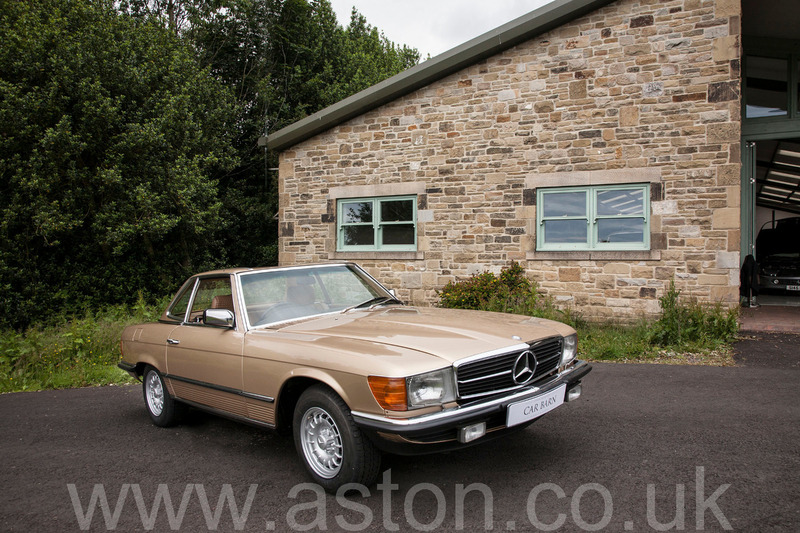 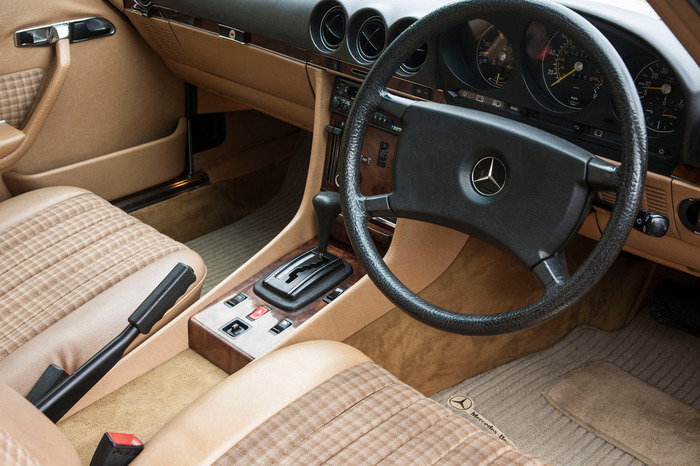 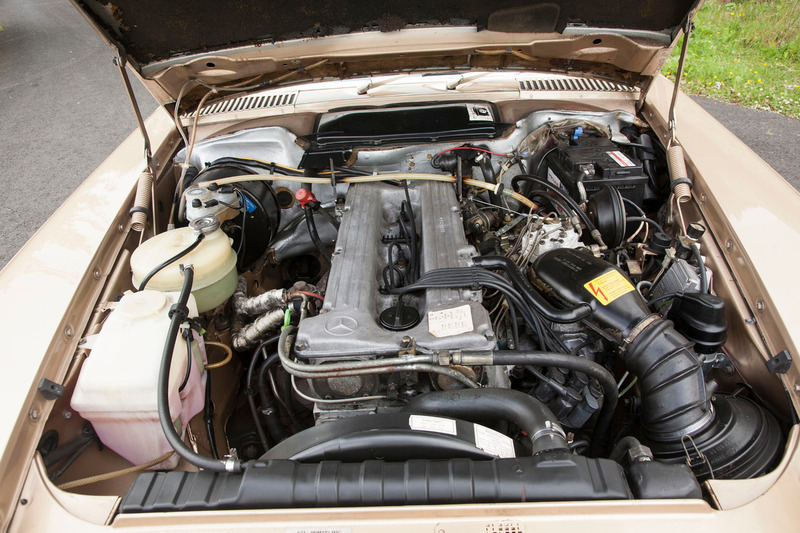 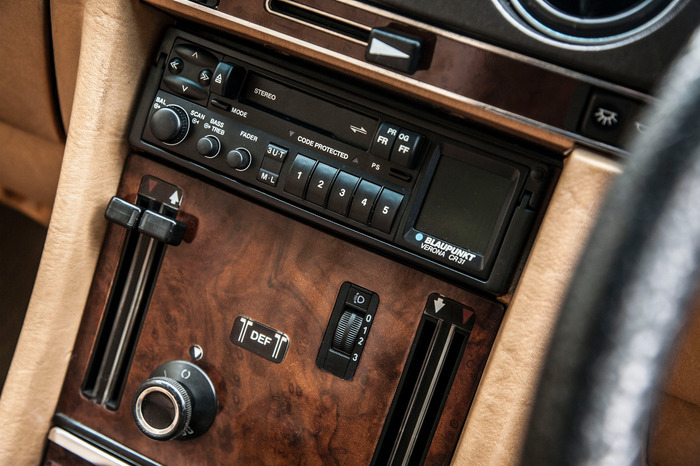 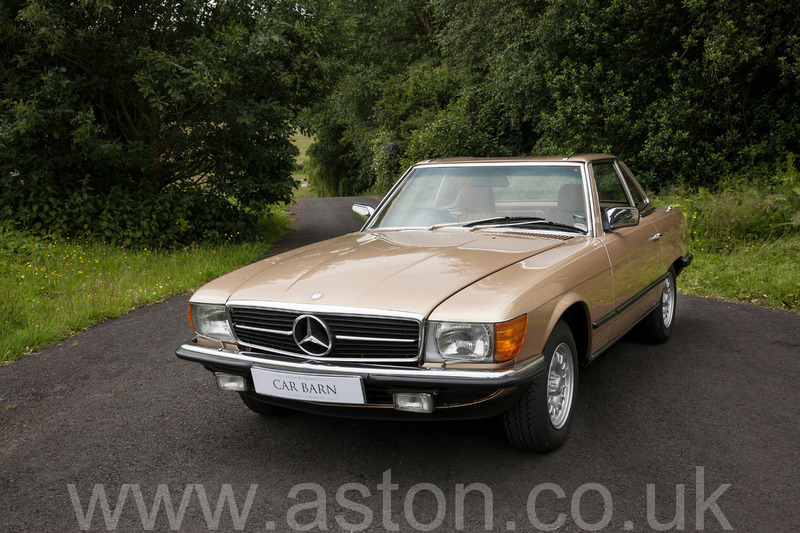 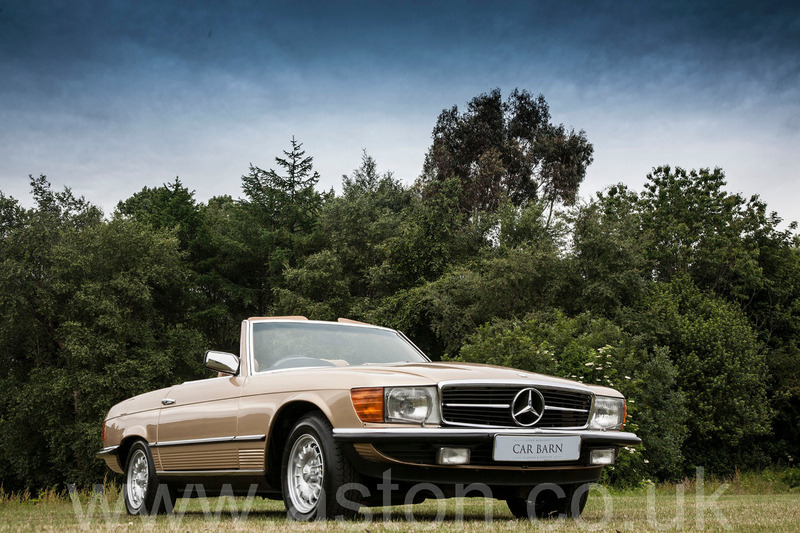 We are delighted to offer for sale this striking 1984 Mercedes-Benz 280SL automatic. 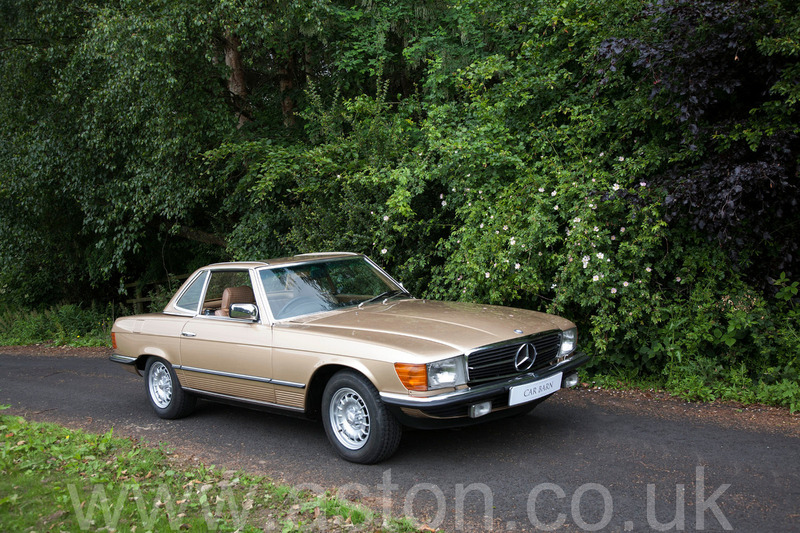 Finished in Champagne Gold with a Tan cloth interior this example has a lovely specification that includes Original Blaupunkt radio, power steering, electric windows, central locking, original book pack, ‘Bundt’ style alloy wheels and a beautiful walnut dashboard. 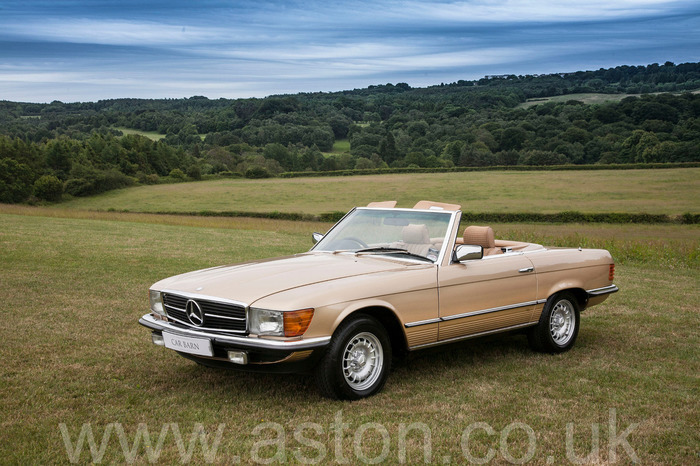 The optional extra of real note that sets this example apart from others is the factory hardtop roof that is in exemplary condition and when not in use is kept on its factory supplied stand which car be wheeled to a safe storage area. 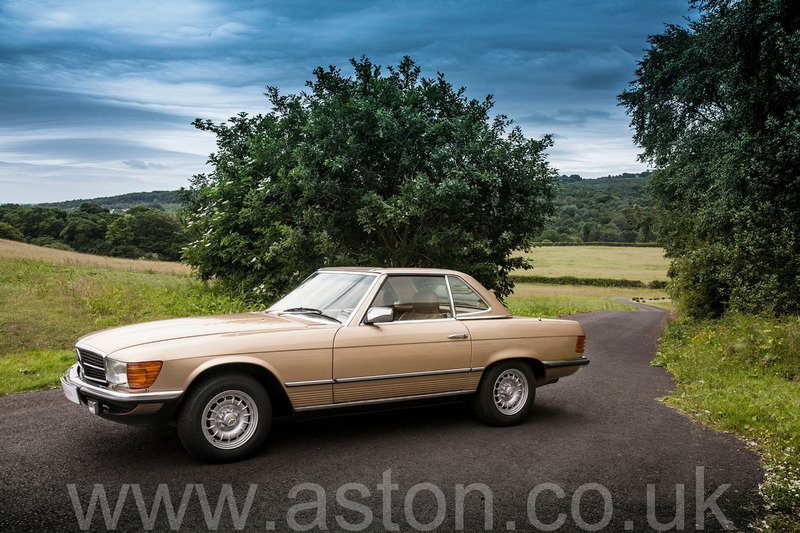 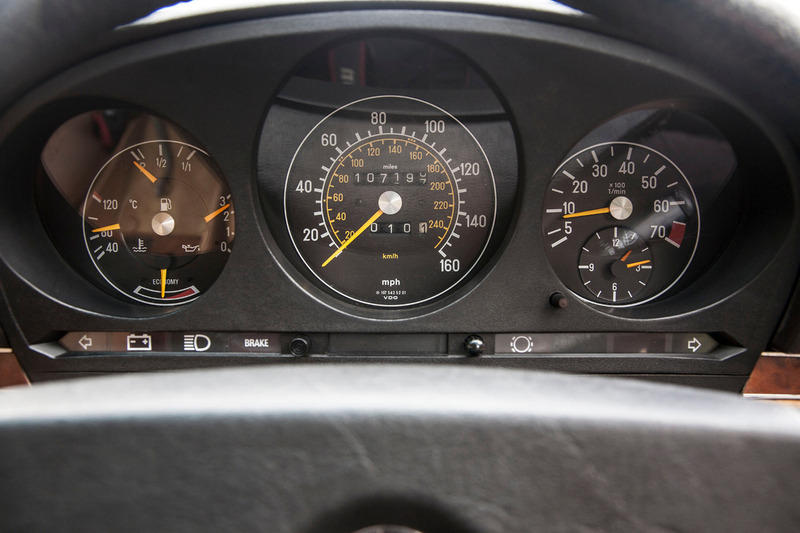 This stunning 280SL has only had three previous owners in the last 34 years and has covered a total of 107,197 miles in this time. 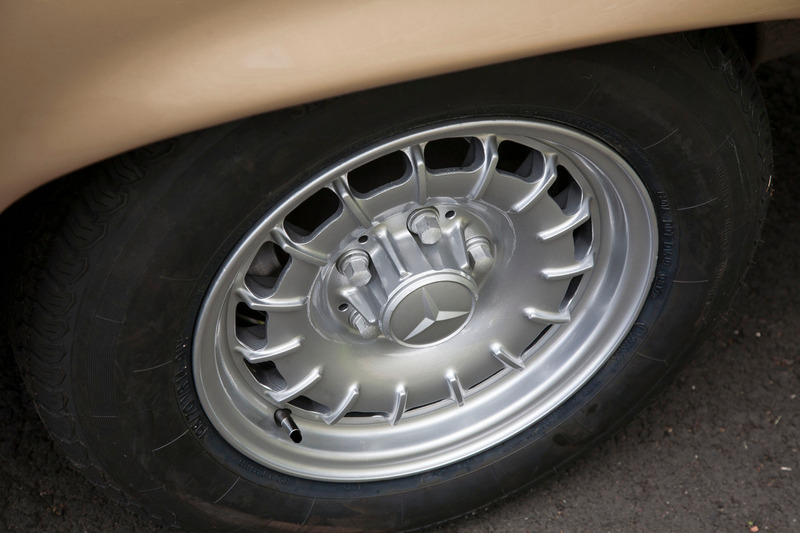 This example has had the benefit of a fully documented renovation here at Aston Workshop, including full service, powder coated refurbished alloy wheels including spare, Vredestein classic tyres including spare, cosmetic paint work and new boot carpeting. 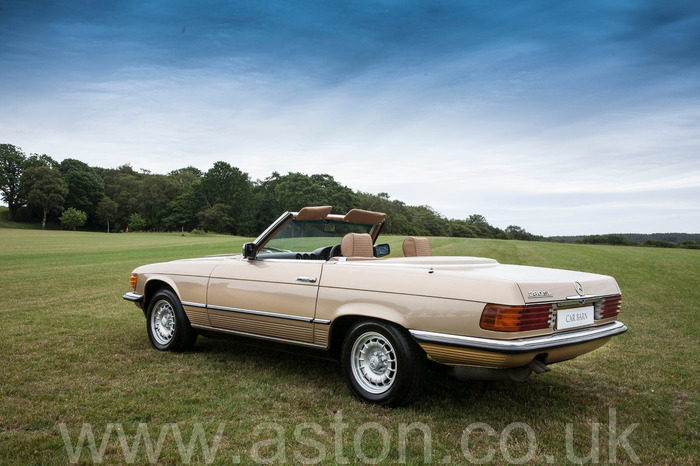 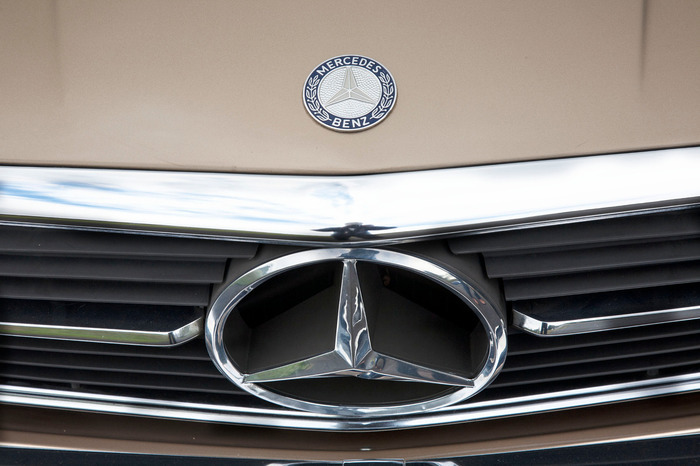 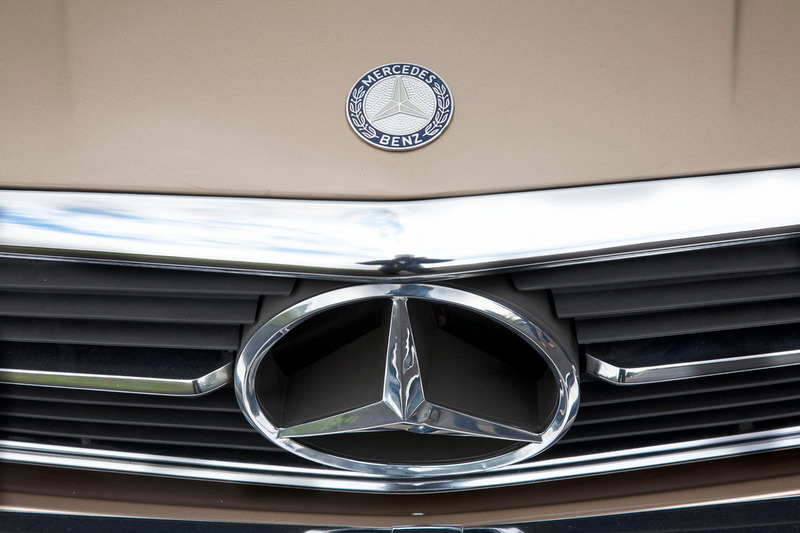 Now having had these works carried out this fantastic and appreciating Mercedes is ready to be enjoyed this summer.